An intensified proliferation of various capturing technologies and mechanisms concerned with collecting, storing and analyzing personal data let us locate personal archiving as one of the major everyday media practices that people engage in today, both voluntarily and involuntarily. The project investigates how this proliferation reconfigures the aesthetics of everyday life and means of its archiving. To a large degree the project draws on artistic research methodologies, auto-ethnographic exploration of the author’s own archival practice as well as a study of other media (art) practices concerned with a consistent documentation of everyday life. By inviting art into the picture the intention is also to invigorate the pallet of methodological approaches within the field of media and communications studies. This project is a PhD research hosted under the Living Archives and Media and Communications department of the School of Arts and Communications/Malmö University. Besides the writing part, the research is composed of interventions, practical experiments, exhibitions and talks. Below is a list of various outcomes and initiatives that stem from the research project as it evolves. The project explores experimental approaches to mobilizing and performing personal digital archives of audio-visual content by drawing on artistic methodologies, performance and database aesthetics. How does the street of a modern city sound? Among the din of traffic, the harried crowds, the digital beeps, and the arrhythmia of road work, is there any room for the unexpected? Daring to challenge the predictable soundscape, there are some people who stubbornly make a place for themselves between the crude musical staff lines of the public sphere. They are the buskers, and their music reverberates through almost every city in the world. In some places political regulations strictly define the presence of buskers in public space, while in others, authorities pay little attention to their spontaneous playing, allowing them to merge naturally into the city landscape. As part of his life-long archival project, since 2010 Smolicki has been recording the presence of street musicians in the public spehere. 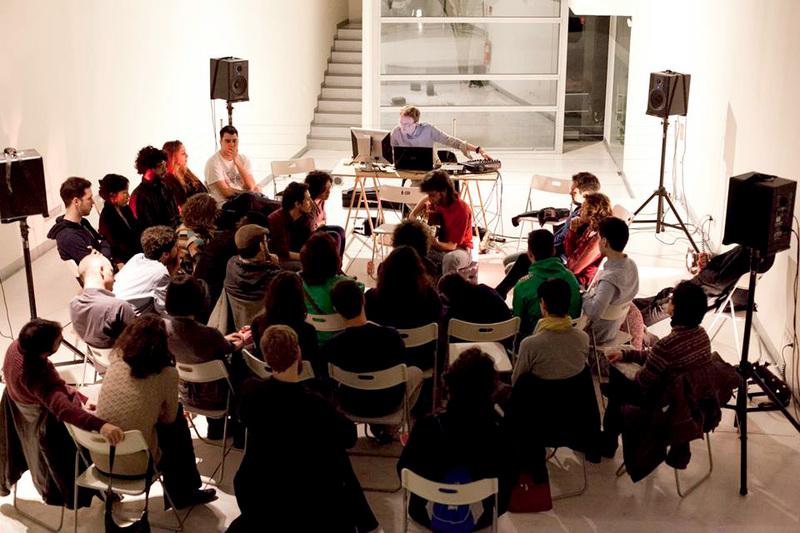 In 2014, the project was presented at the international festival of sound art and interactive art In-Sonora in Madrid. The project was offered to the public in a form of a four channel, open-ended composition based on about 8000 samples extracted from 350 samples of street musicians collected across the world over last several years. The exhibition was concluded with a time-based situation instigating a space for an aural dialog between the digital algorithm, editing force of an author mixing in street music collected in Madrid and improvisatory interaction of performers. Life-longing explores existing life-logging technologies and practices as well as implications they have on the dynamics of the everyday life and the aesthetics of its record. Here is a short account from the first weeks of an experiment in wearing and interacting with a popular, off the shelf life-logging wearable camera Narrative. 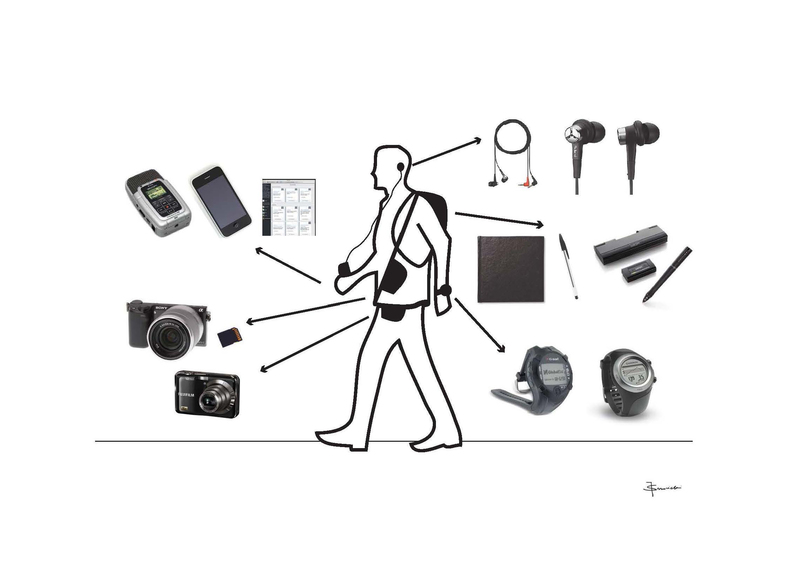 The Art of Self-Tracking is a traveling exhibition presenting (media art) practitioners who in different ways deploy recording and tracking devices to document some aspects of their lives. The project problematizes fringe and outsiders’ aesthetic practices concerned with personal data collection in relation to the lately emergent self-tracking practices. The initiative is an on-going collaboration with Alberto Frigo, a manual life-logger and researcher at Södertörn University. Minor Data is an alternative to Big Data. We magnify the importance of individual, manual techniques of handling, presenting, visualizing and encrypting personal data. 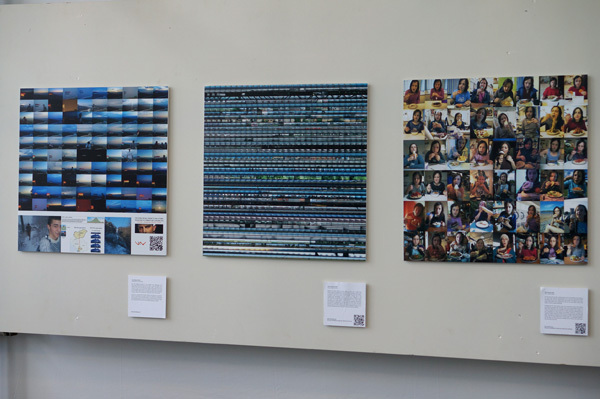 A paper proposing an expanded perspective on life-logging practices was presented at the International Festival of Electronic Arts ISEA2015, Vancouver 2015. The insights that this paper provided were also shared at the workshop organized by Ethnographic Terminalia back to back with ISEA. ‘Terminus: Archives, Ephemera and Electronic Art was a workshop organized by the Ethnographic Terminalia Collective in collaboration with Tarah Hogue and Glenn Alteen of the grunt gallery in Vancouver B.C. The workshop took place as a part of the 2015 International Symposium on Electronic Art (ISEA) and was held at VIVO Media Arts Centre in Vancouver on August 18th, 2015. It featured presentations from international and local media artists and resulted in a collaboratively-produced zine-inspired catalogue of the day’s events and conversations. The zine was printed in limited numbers and distributed during ISEA and at the grunt gallery. It can be viewed in digital form here on this website, and audio recordings of the presentations are available here’. RealityBackup was a few day event comprising an audio-visual installation, interdisciplinary dialog and performance. The exhibition presented a current state of an exploration of mixed media and augmented reality media as means for encrypting, displaying and disseminating the audio-visual content of a personal archive. The exhibition consisted of a mixed reality installation featuring 300 chronologically aligned visualizations of sound samples collected consistently over a period of last 5 years. It formed a horizontally evolving axis. 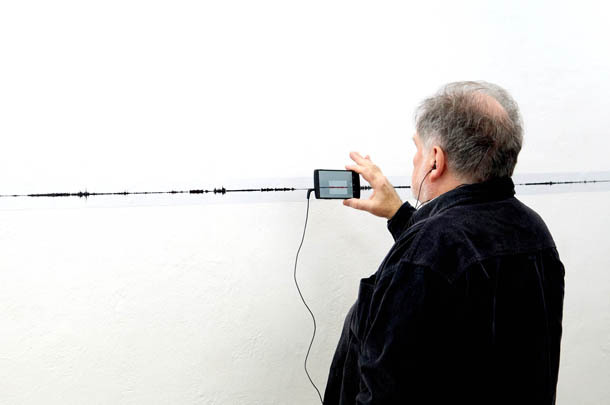 Each waveform image functioned as a trigger of a sound sample which could be accessed via an augmented reality application for mobile devices. Reality Backup was a collaboration with Alina Abdullayeva, Stockholm based curator interested in the ephemerality and obsolesence of digital media. The project is an artistic and media archaeological exploration of possibilities for crafting one’s digital legacy in the context of increasingly digital, network and compartmentalized media. 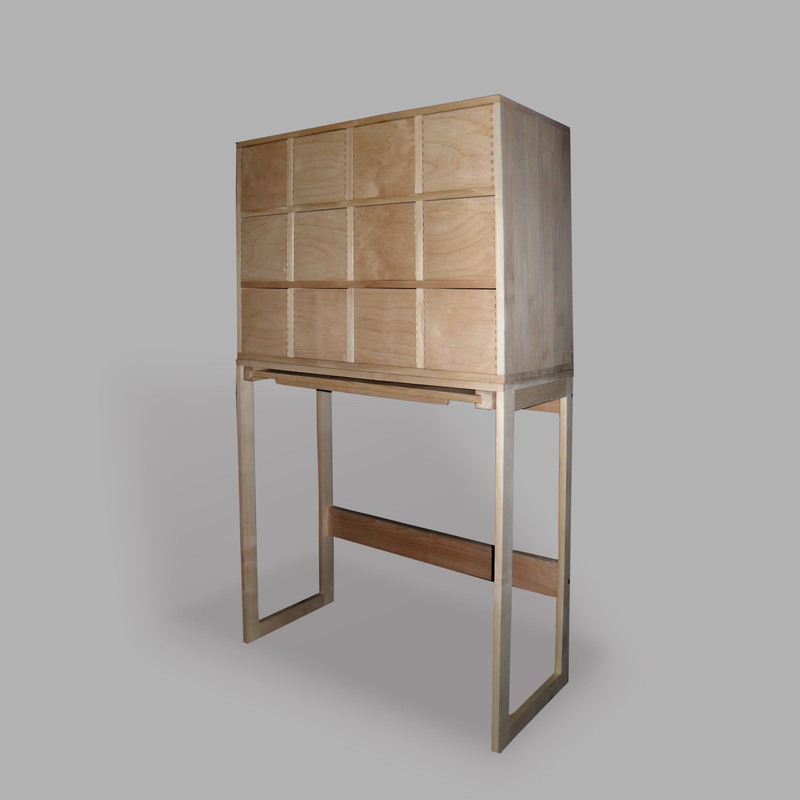 Fragmentarium takes a form of a physical cabinet accommodating a set of materialized personal data captured regularly over last several years via various artistic practices that utilize personal media technologies of today. The project is an attempt to regain control over one’s personal traces in the age of information overflow, data exhaust and capture-all economy in which personal data turns into no more than a statistical bit. Moreover, the project is an attempt to responsibly craft a digital footprint and by doing so, prepare a personal digital legacy that in the post-digital future can potentially serve as a window into a particular time-space of the 21st century as experienced, documented and mediated by an individual. Conceptualizing and building a mixed reality mnemonic device that combines the analog and digital layers is how these goals are practically addressed. A paper presented at the Flâneur Festival and Symposium in Oslo and to be published in the post-symposium journal. “The flâneur has been typically problematized as a male curiously and aimlessly strolling through the city, losing himself to its sensory consumption. In this article I intend to propose a perspective on the flâneur, and more broadly flânerie, that while keeping the curious wandering as its main principle takes into consideration technological transformations that has inevitably affected its dynamics over the span of the last century. The proliferation of recording devices such as portable cameras at the dawn of the 20th century introduced a possibility to collect one’s observations made during solitary walking. Once characterized by a certain ephemerality, elusiveness and anonymity, solitary walking in the city has gradually become traceable and productive of various deliberate or involuntary archival traces. Today, in the times when almost every solitary walker in the city is equipped with some kind of a recording device people both produce and hoard vast amounts of digital refuse. In this article, next to the flâneur I recall another modern figure extracted by Benjamin from Baudelaire’s writings, the rag-picker. I also return to early 20th century debates on the proliferation of photographic representation brought about by technological advancements. By experimentally merging the mindsets of the rag-picker and the flâneur, their particular ways of attending to the everyday life, and through a selected range of practitioners that I introduce throughout this text and who exemplify such an approach this article proposes how a rethought practice of flânerie can gain a broader archival and cultural value”. Collaboration with Tim Shaw, Newcastle based sound artist and researcher at Culture Lab. ‘Returning the ear’ can be described in terms of a collaboratively developed method for attending to, documenting and mediating the space through variety of sonic interventions. If traditionally the understanding of places and experiences they yield has been focused on their visual aspects, our approach attempts to bring attention to practices of listening and audio-recording seen (or heard) as at least equivalent forms of being in the world. 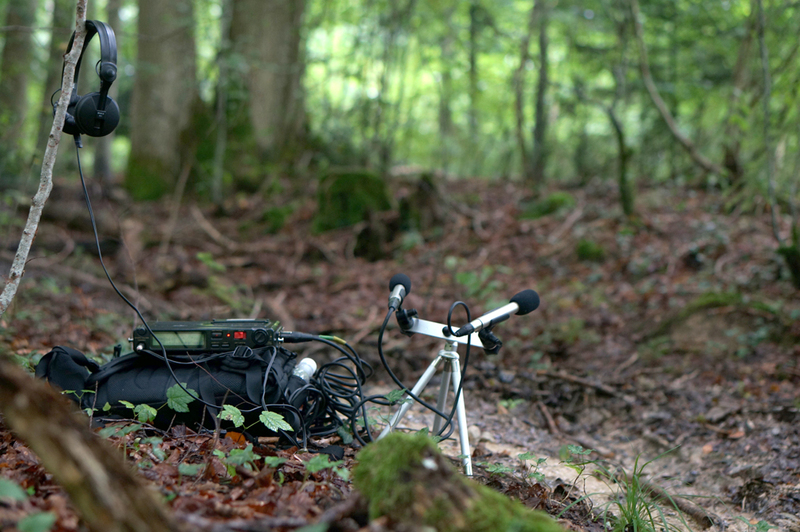 We question and test diverse natures of listening and recording through performative walks within urban and rural spaces. Drawing on traditions of soundscape research, soundwalking, DIY technologies and experimental musical practices, our work engages with listening as a generative act in which spaces become open for diverse and experimental modes of attention and interpretation.